learning to play an instrument can be so much fun! Our workshops are so much fun! 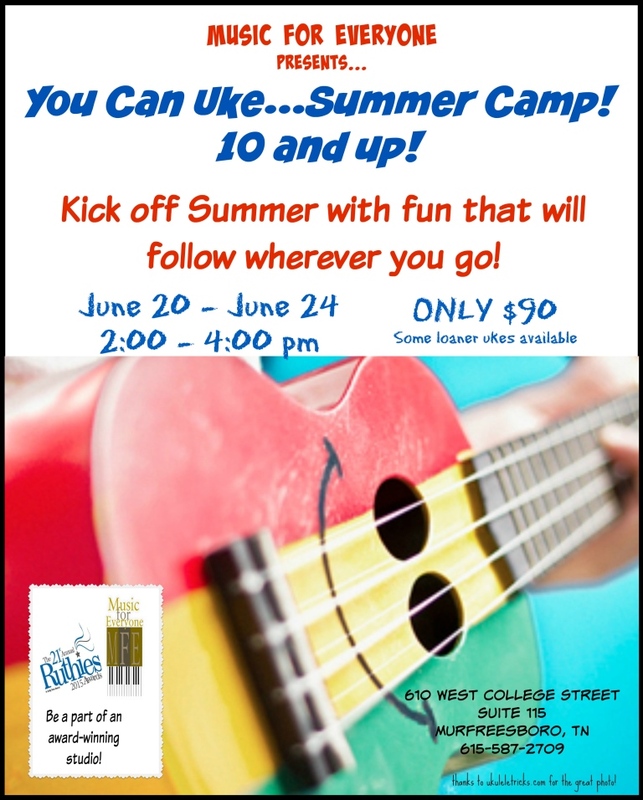 Keep watching for the next You Can Uke workshop- FUN, STRESS-FREE classes, designed to send you home with a couple of tunes under your belt and the burning desire to learn more. Previous musical experience is not required. This workshop is for absolute beginners. No previous musical experience necessary! Ages 12 and up are invited to attend! Want to know more? To love the ukulele! **It is important for fingernails to be cut short on the hand that will play the chords. This ensures a clean sound and a better result.